For my April Mood Sewing Network project, I picked out this sassy Marc Jacobs cotton/silk blend at Mood Fabrics NYC. It has a lovely satin finish so it feels extra fancy. As soon as I saw it, it looked me in the eye and spoke to me: “I’m a shift dress!” Who am I to disagree? I used the Colette Laurel dress pattern, which I’ve made once before. I had a great deal of trouble sorting out the fit through the armhole the first go-round, so I grabbed the Gather Mortmain dress pattern, traced off the armhole and sleeve, and just made a frankenpattern. I haven’t had a chance to sew up that dress yet (although I’m looking forward to it! ), but I made a quick muslin and it worked! Ooh, one quick item of business! 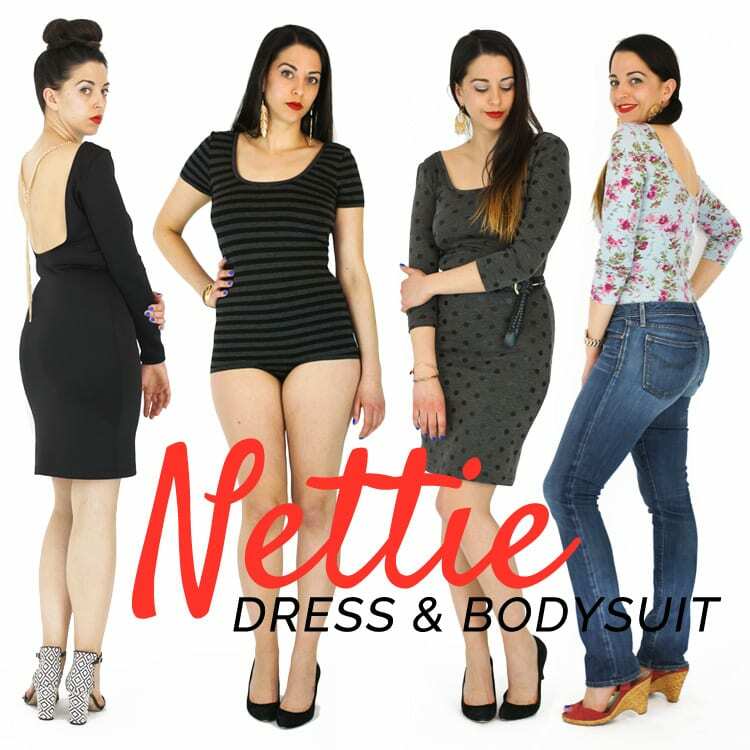 Just wanted to make sure you’ve all seen the fun new Nettie bodysuit pattern released by my friend Heather of Closet Case Files and inspired by another friend, Wanett of Sown Brooklyn! This is what’s on my sewing table right now- I didn’t know I needed a bodysuit until I saw this pattern, but I’m really psyched to try it out! EDITED TO ADD: I just found a free downloadable shift dress pattern, Simple Sew‘s Brigitte dress! So if you like this style, and a new pattern’s not in the budget, this might be a good option! I haven’t tried the pattern, but let me know if you do- I’d love to know how it turns out! How about you guys? Do you like the shift dress style? Do you like large-scale prints? Anyone else making a bodysuit? Do you agree that I definitely need a pair of blue heels to wear with my new dress? What’s new with you? « Ginger Made: M6553, V. 2! Woooot, show off those sassy legs! 😉 Love the print- I can see dressing it up like you did, or down with some boots. So I guess we’ll be seeing some Netties from YOU too. Like I need another reason to buy another pattern, haha. You have great gams for a shift dress! 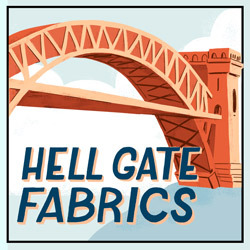 Your choice of fabric is perfect. I think you need blue, red, orange and pink shoes. For a bit of variety right? 😉 love the dress! Haha, this post inspired a mega-battle with me and my iPhone while waiting in the doctor’s lounge. I must have typed something into the comment form five times only to disappear each time. And then I couldn’t get your dress out of my mind! I love love love this print. And shift dresses. They’re so easy to wear! Aww, thanks, Amy! I’m looking back at these photos now and wondering if I don’t still have more fitting work to do!